Hey friends! I hope you all had a glorious Easter weekend. Ours was full of lots of food, family, church fellowship, and fun! We stayed busy so I'm just sharing a quick project today. Last week we had a rare Oklahoma day where not only was the weather gorgeous, but there was no wind. So, my spray painting fingers were itching to do some work! I've had my eye on this guy for a while. He was kind-of a dirty white, and I either wanted to make him brighter or try a bold color (like this cute one!). I sent a little teaser out to my IG friends, and if you've read my blog for two seconds you can probably guess which choice won out. 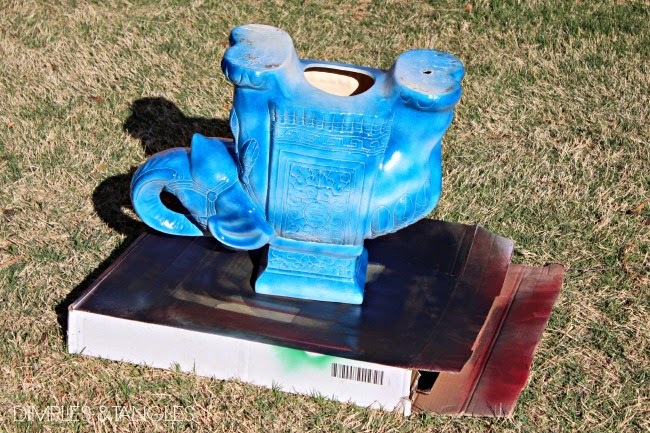 I've posted about how to spray paint ceramics in the past, so today I'll just show you the results. I will say that this time I didn't use a spray primer. 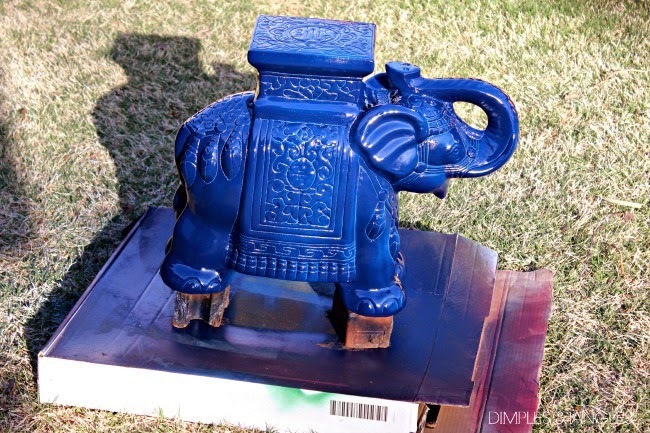 I used Rustoleum's Glossy Enamel spray paint which is pretty sturdy stuff, so I'll see how this one holds up. When painting something with lots of curves and nooks and crannies, I like to turn it upside down first to make sure I'm getting all of the underneath spots good. 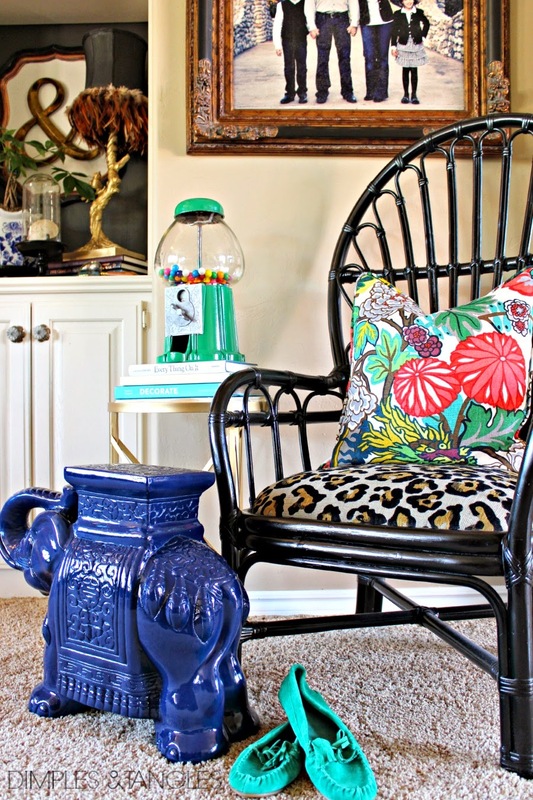 Once again, the paint was Rustoleum spray enamel in Navy gloss. I was a little nervous with the first coat or two...it sure was looking turquoise! But, after about 4-5 light coats things were looking up. So I flipped it over and finished the top side. I used a few coats of a spray glossy acrylic sealer (from Hobby Lobby) on top for a little more shine and added protection. I really love this color. It plays nicely with the striped rug in the entry. Do you have something that could use a shot of color? I also painted some other super fun things, so stayed tuned to see those in the near future! Just a reminder, on Friday it's time for our Best of the Nest link party again! Get ready to link up your best project from April, we want to see what you've been up to! Love it so much more in navy! 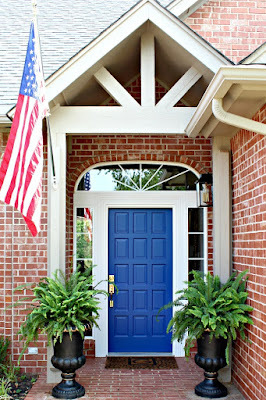 I have something I have been itching to paint that color since I have been adding more touches of navy into our home. Have a great week! I love him - looks like you chose the perfect color for you space! Initially my thought was that it was not going to turn out to be as cute as it already was. What do I know? I LOVE the blue! 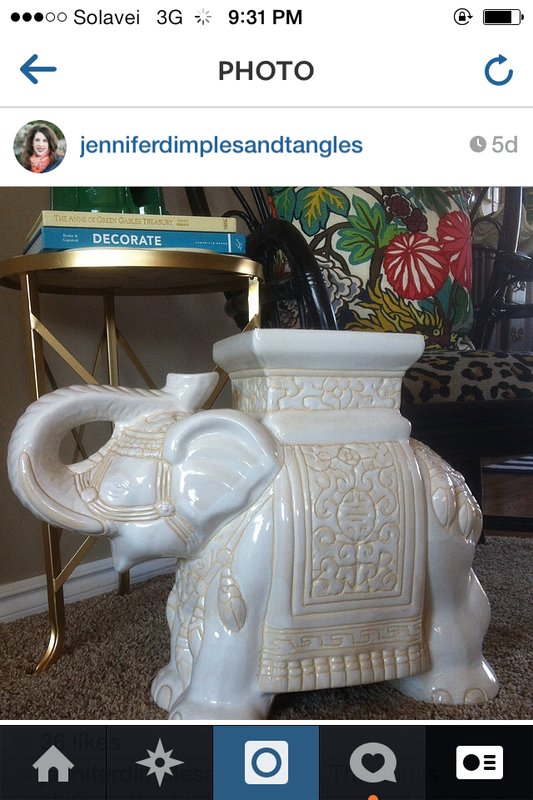 Never expected it but he definitely looks cuter and the color pops and blends at the same time with all your decor Jennifer! How fun is this. I love your sense of color. Love the color you used...it looks SO much better! And I'm very in love with that fabric on the seat of your chair too!! Gah! HELLOOOOOO gorgeous!! 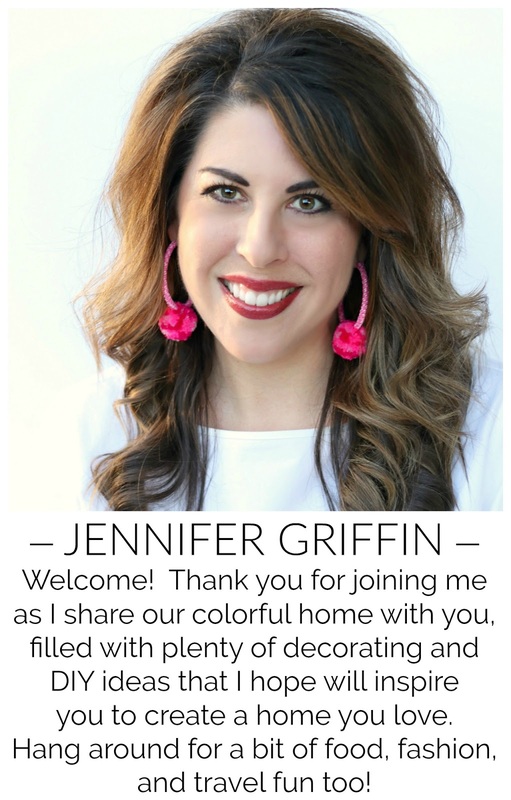 Jen, I love the color choice. Its so awesome!!!! Love the navy! It's a great balance to the green. I just painted an ugly brass light navy and love the color. LOVE the color and i have to say i didn't see that coming! I love your sense of style...when you finish your home, feel free to stop by mine! I saw this on Instagram yesterday and my jaw dropped open! I LOVE it blue! Love, love, love it! That color is fabulous! Loving it! 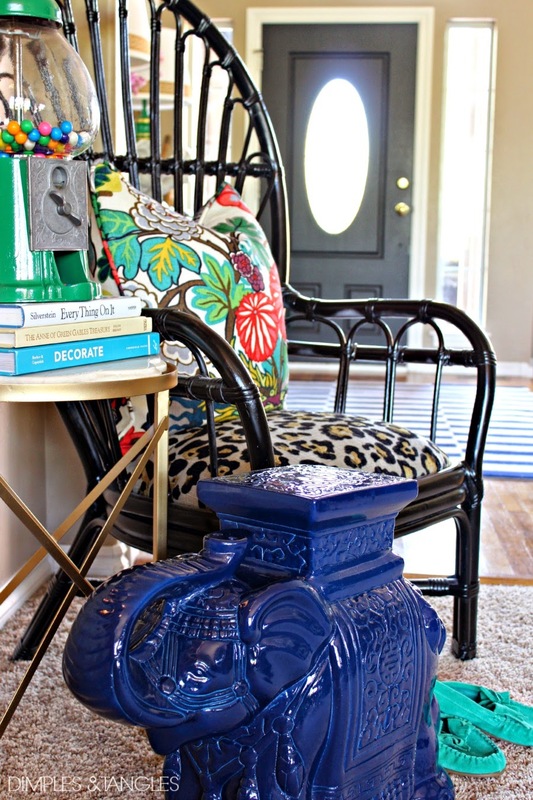 What a cute little addition to your colorful room - he fits in perfectly!